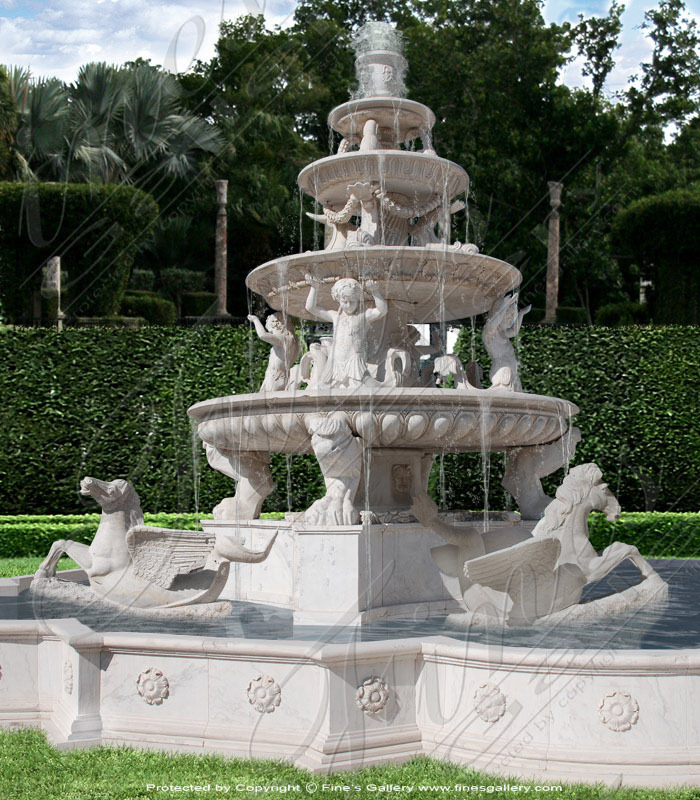 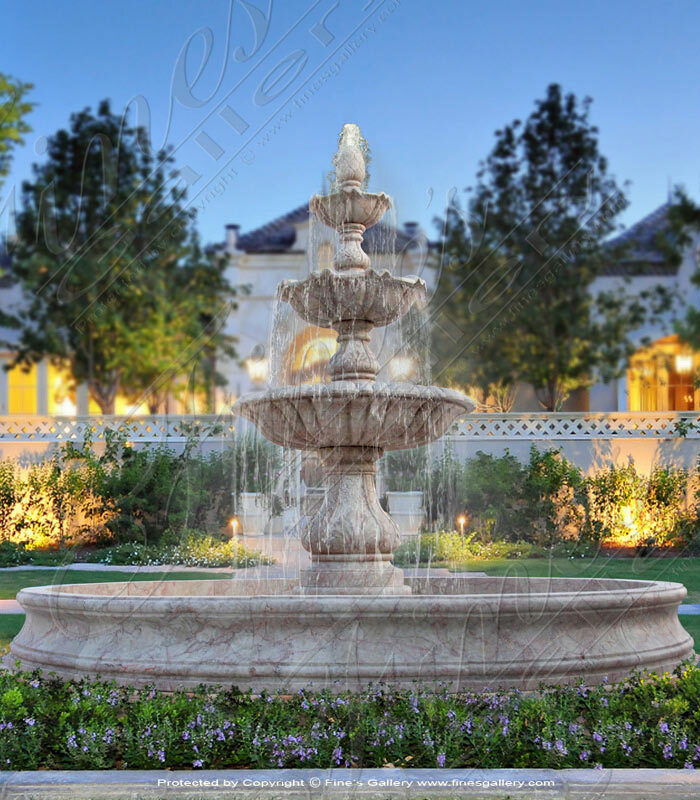 Thiselegant quatrefoil shaped pool and three tiered fountain is carved from fine Metrix Carrara marble. 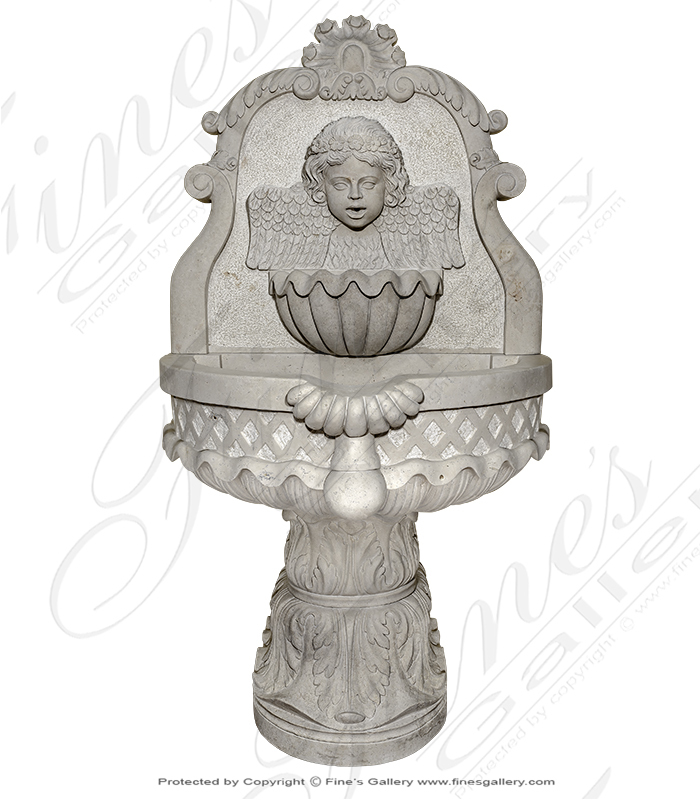 Featuring finely carved floral detail along with an egg and dart bowl detail. 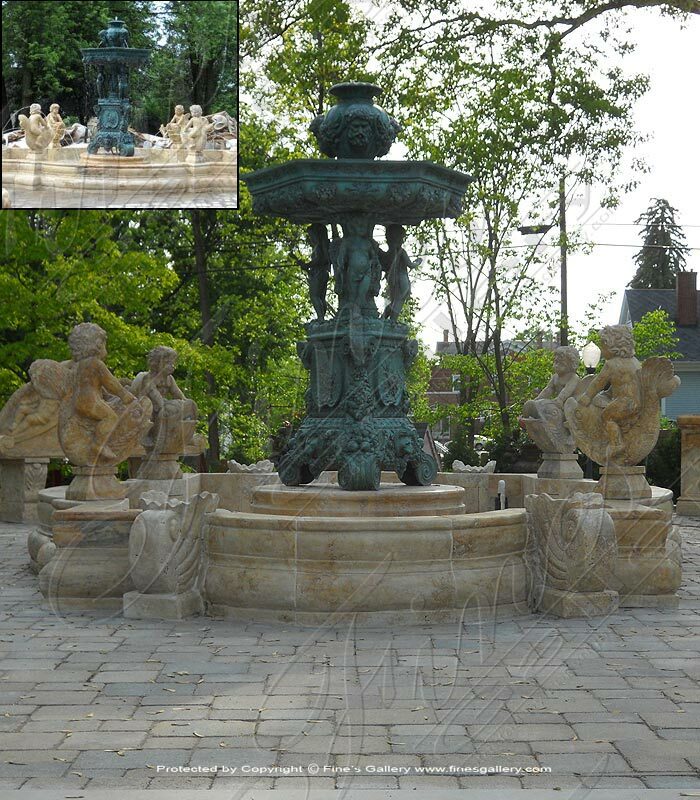 Additional Water and Lighting features are available to be installed. 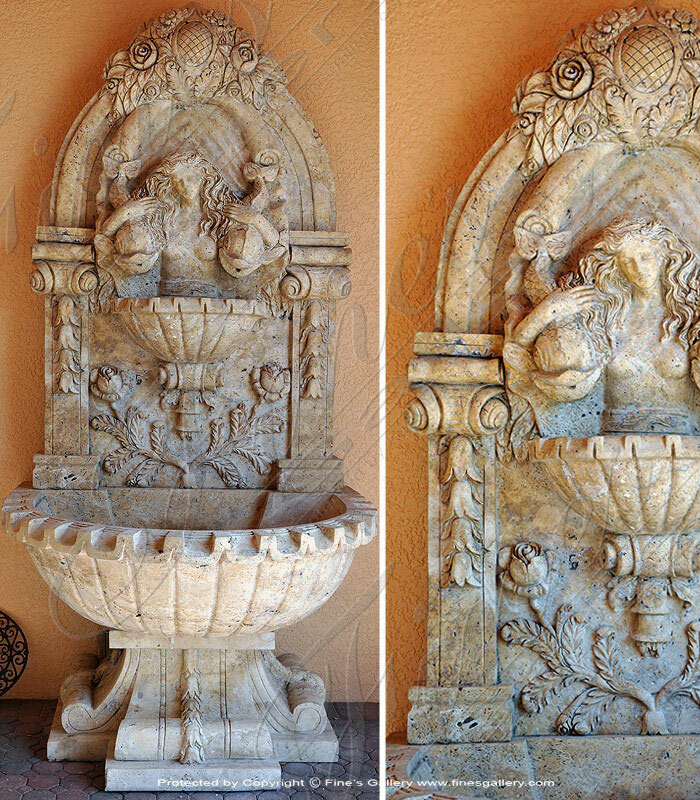 Dimensions: H: 96" W: 156" D: 156" View Colors Call Us! 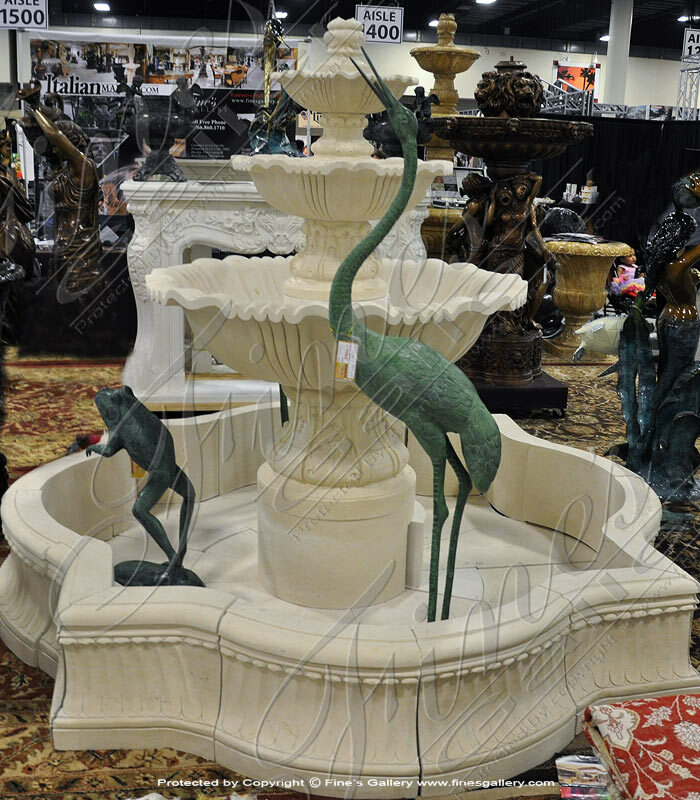 Dimensions: H: 50" W: 118" D: 118" View Colors Call Us! 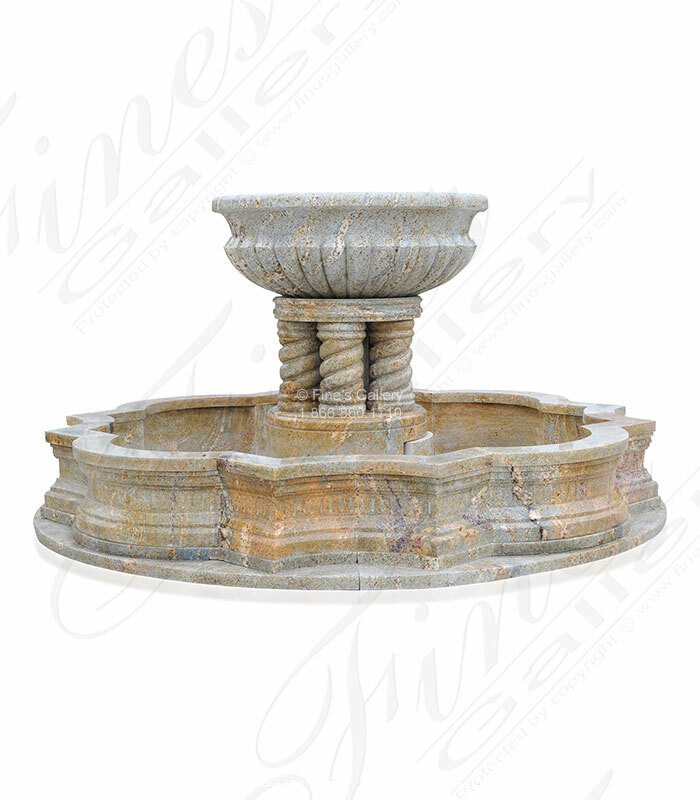 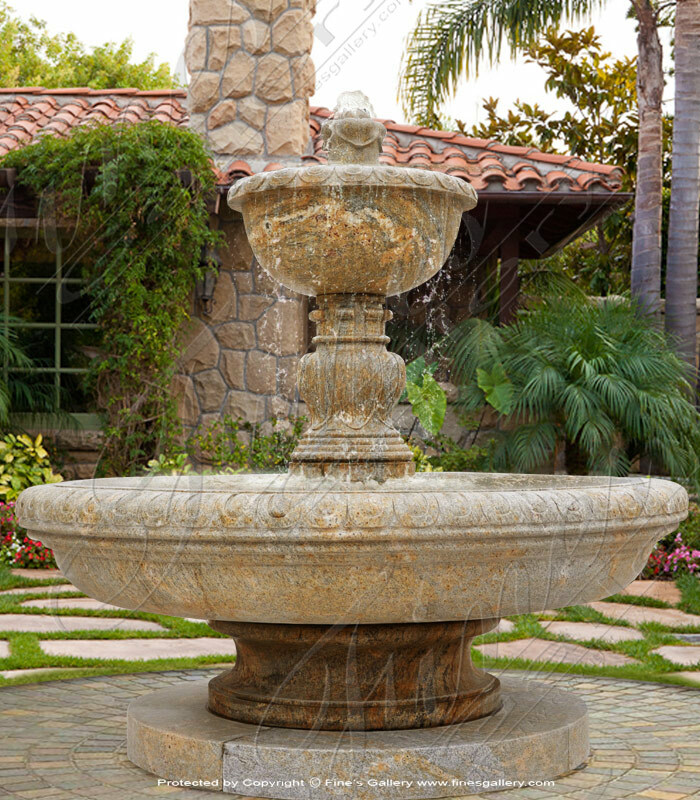 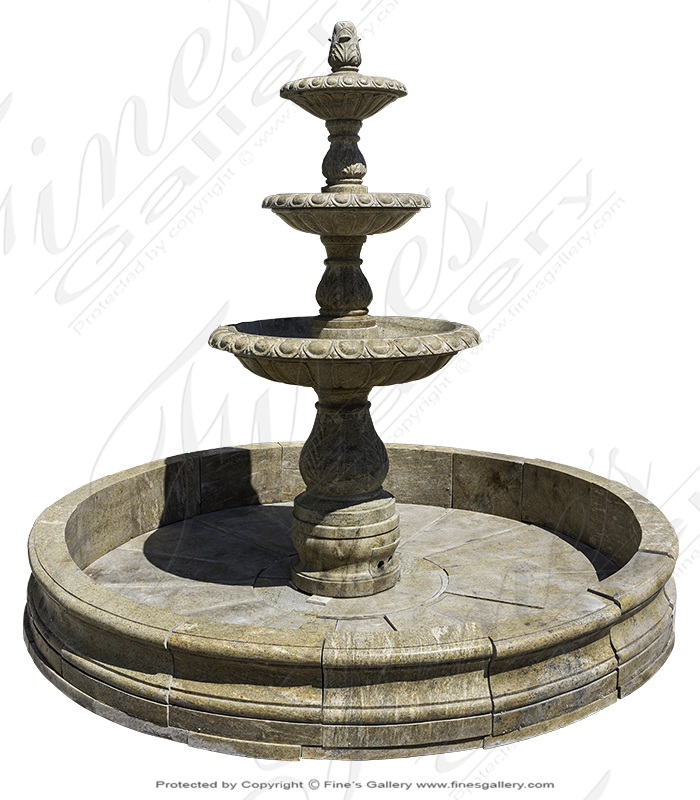 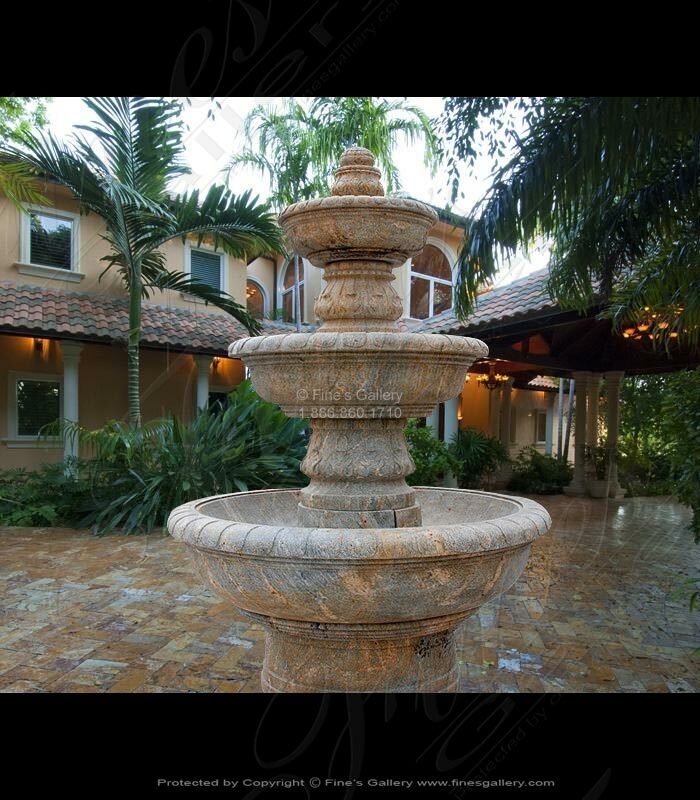 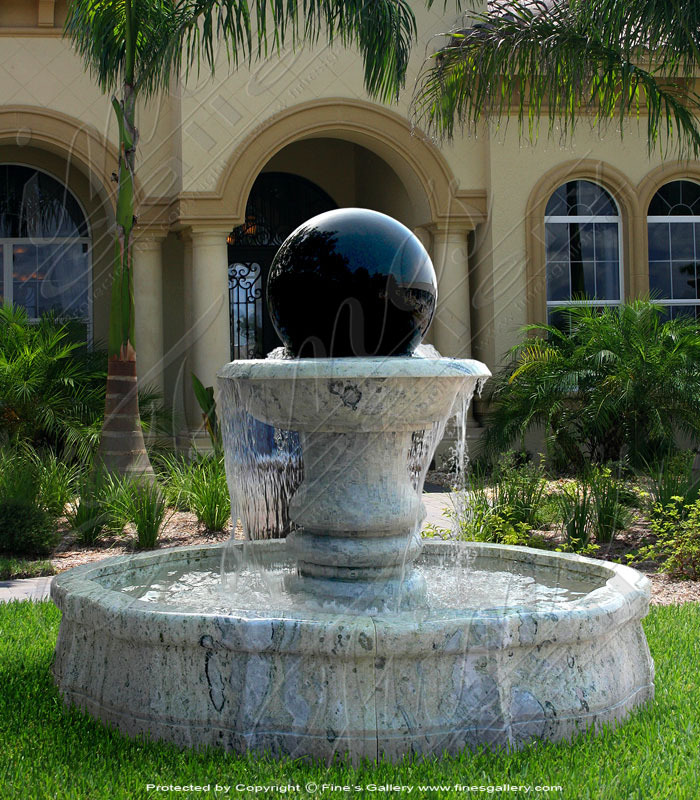 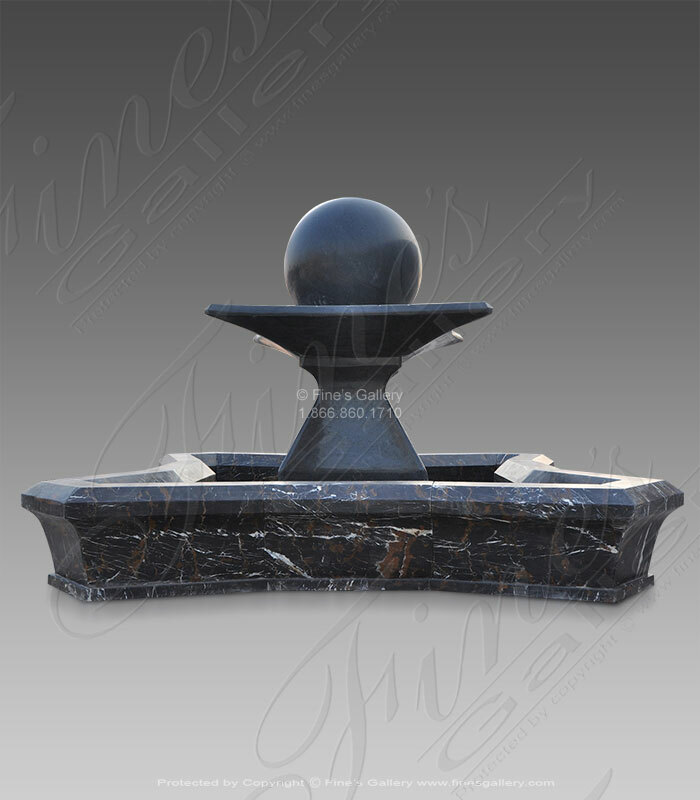 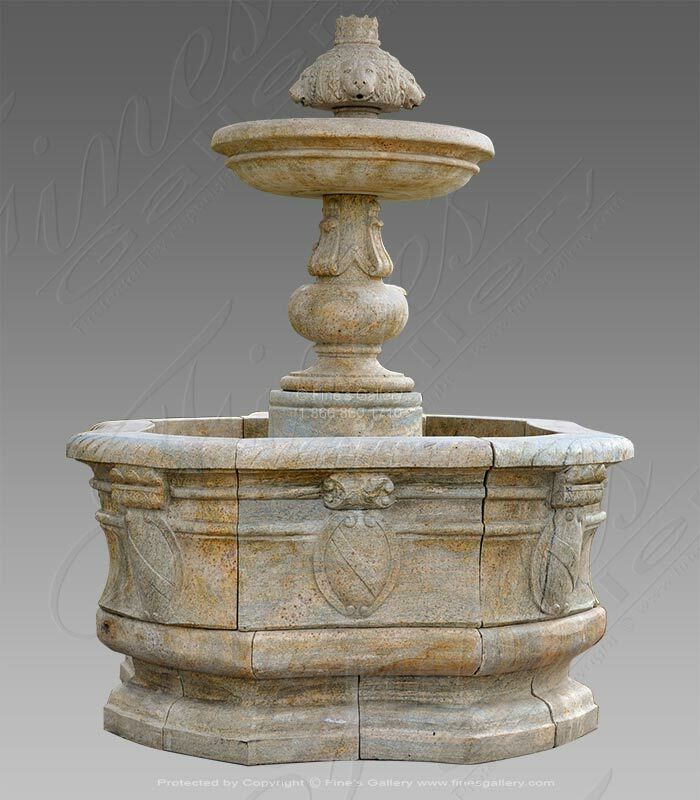 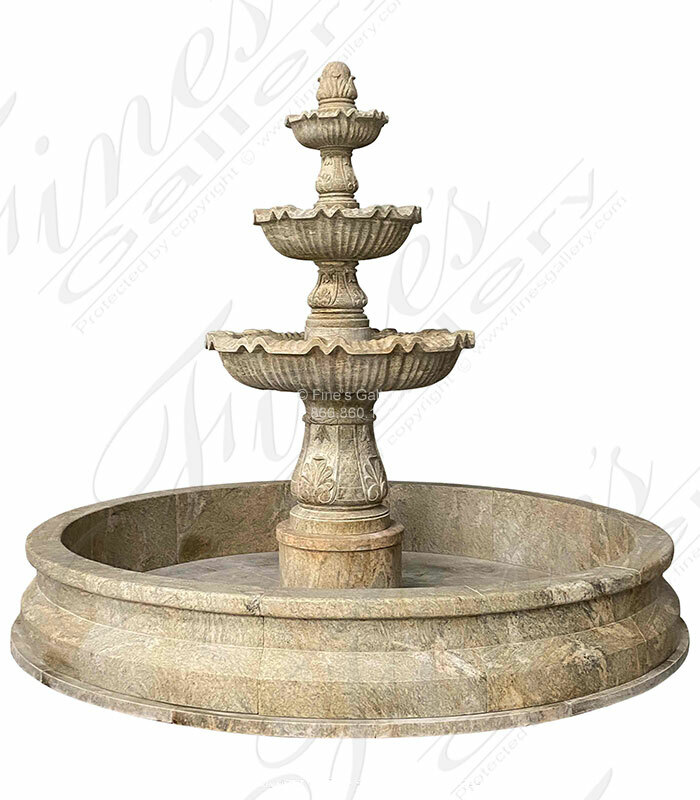 This beautiful Luxury Granite Garden Fountain has three scalloped tiers and deep accanthus leaf relief detail. 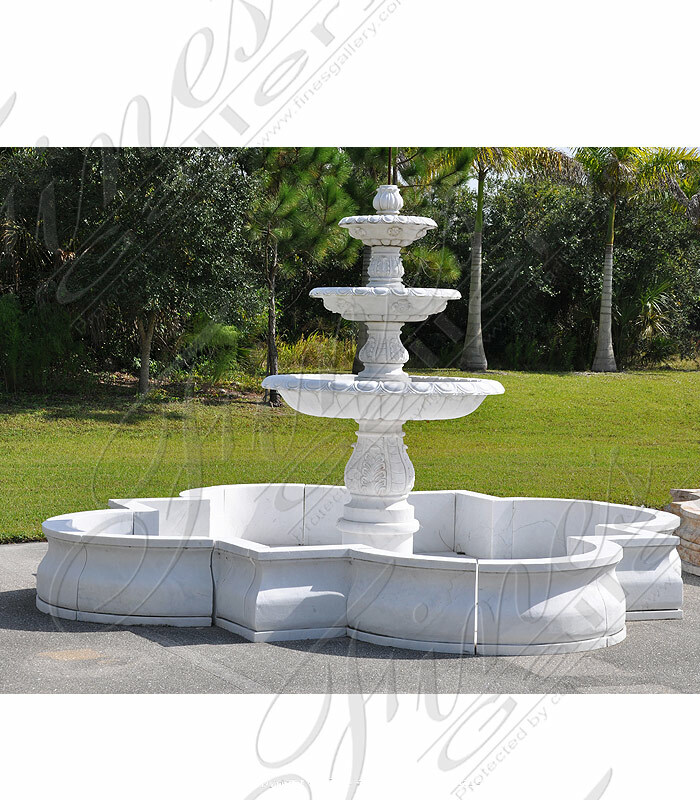 Delivery and Installation pictured here in Pensacola FL, available for nationwide setup! 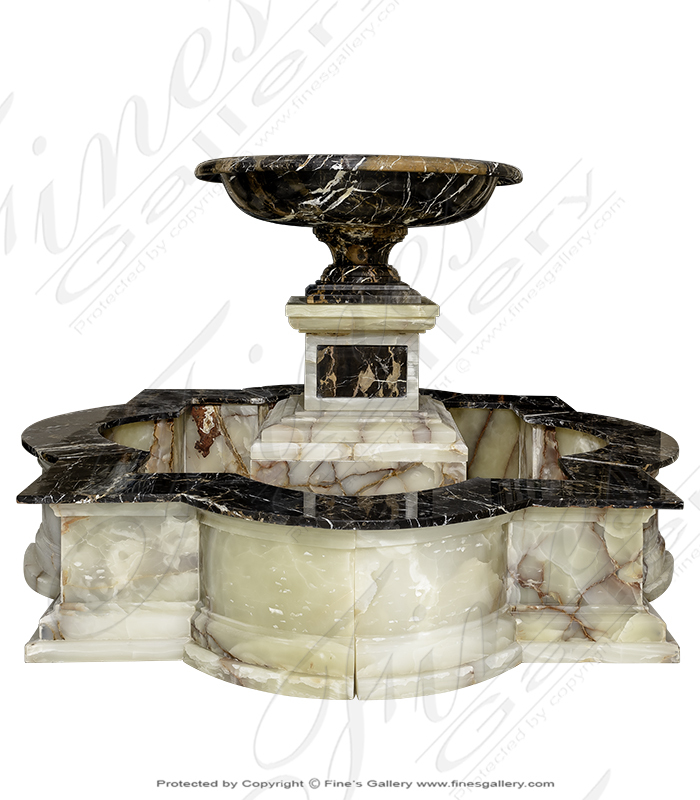 Select from granite or marble to match your estate. 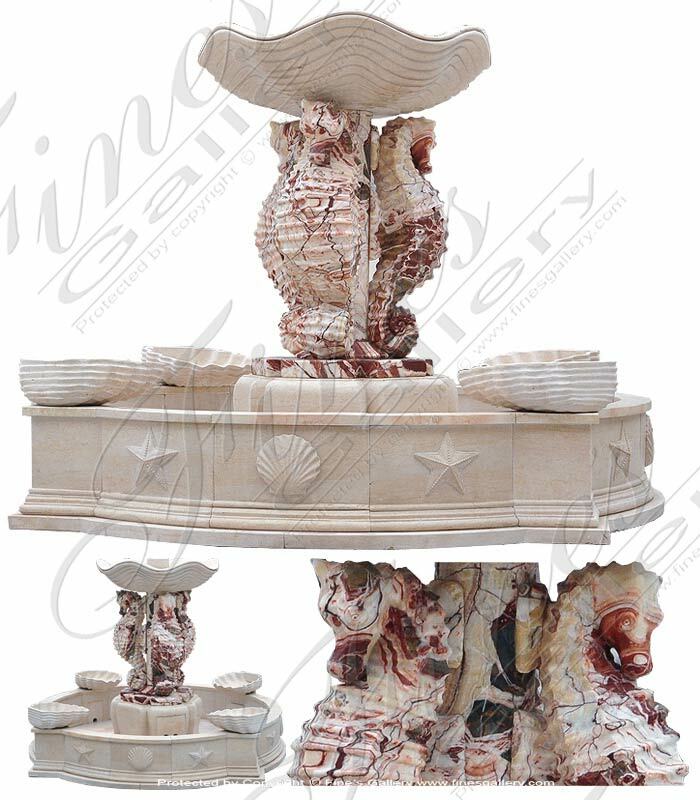 Dimensions: H: 92" W: 72" D: 72" View Colors Call Us! 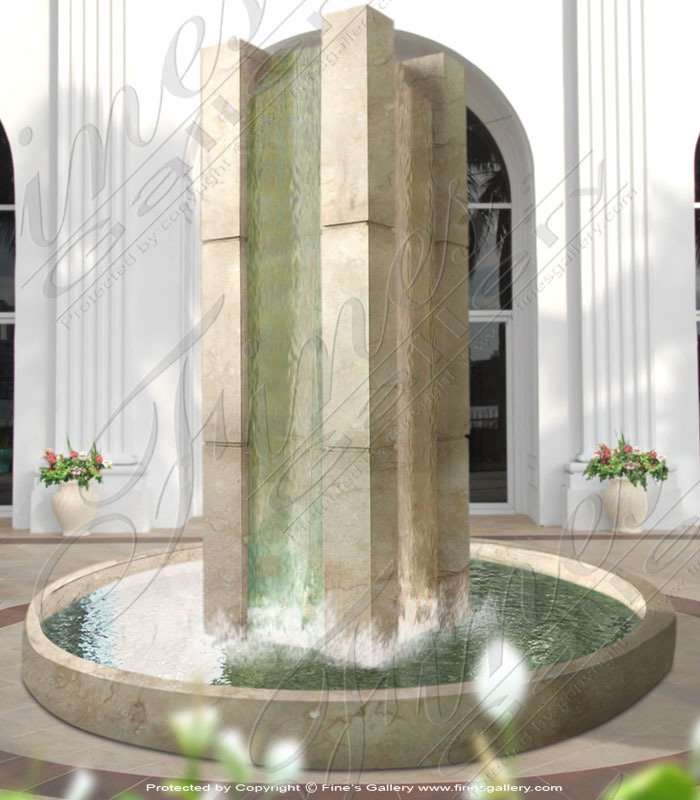 Dimensions: H: 105" W: 72" D: 72" View Colors Call Us! 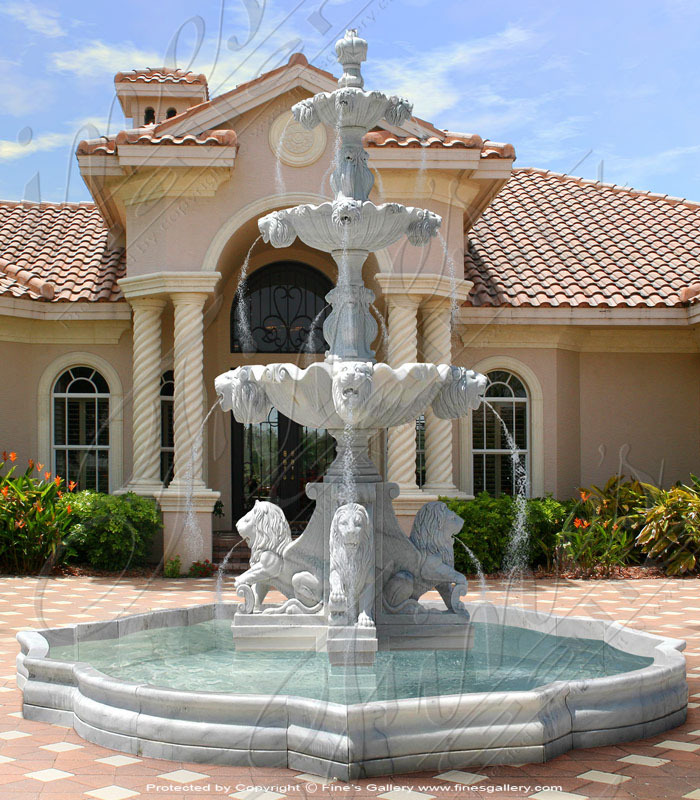 Dimensions: H: 83" W: 96" D: 96" View Colors Call Us! 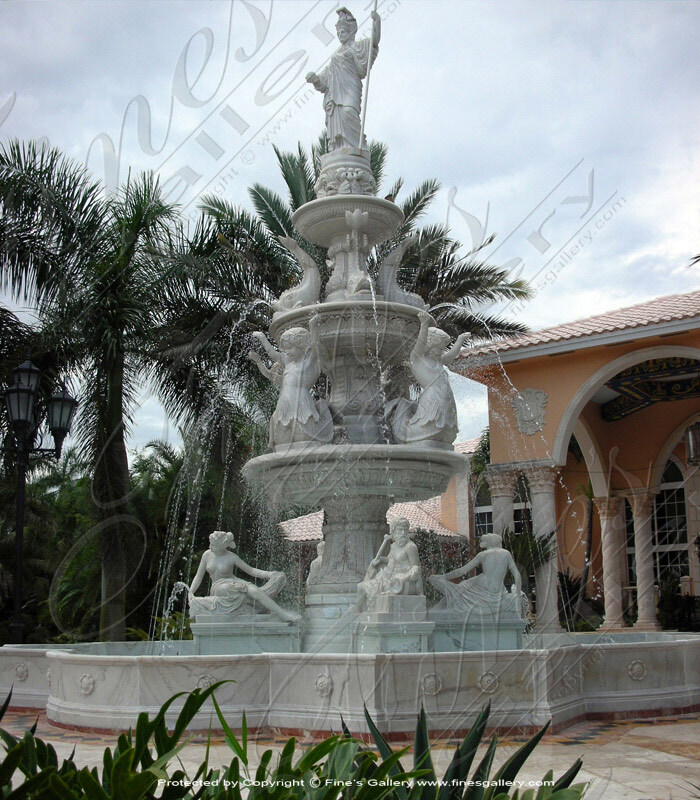 Three tiers of lavish waterfalls make for a scene of decadent refreshment and pure elegance. 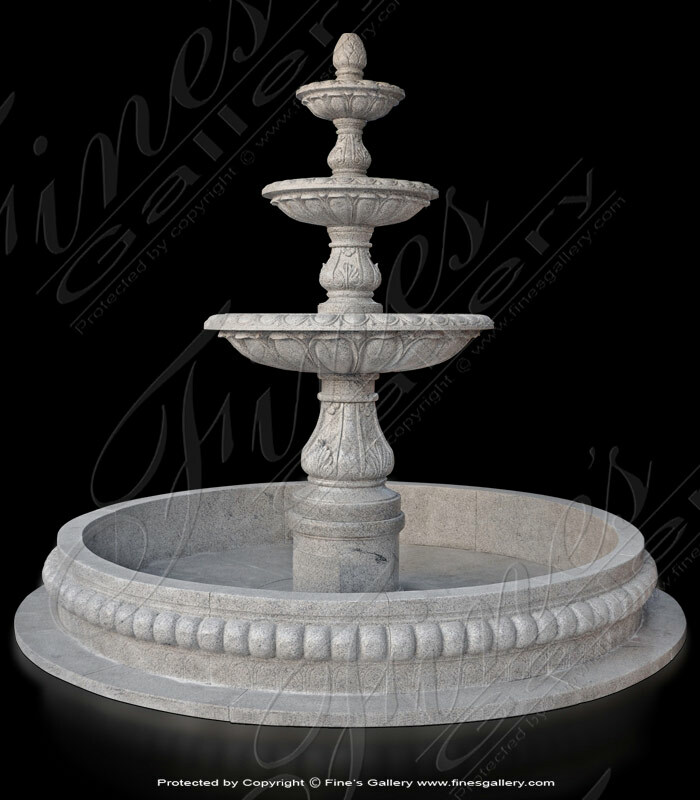 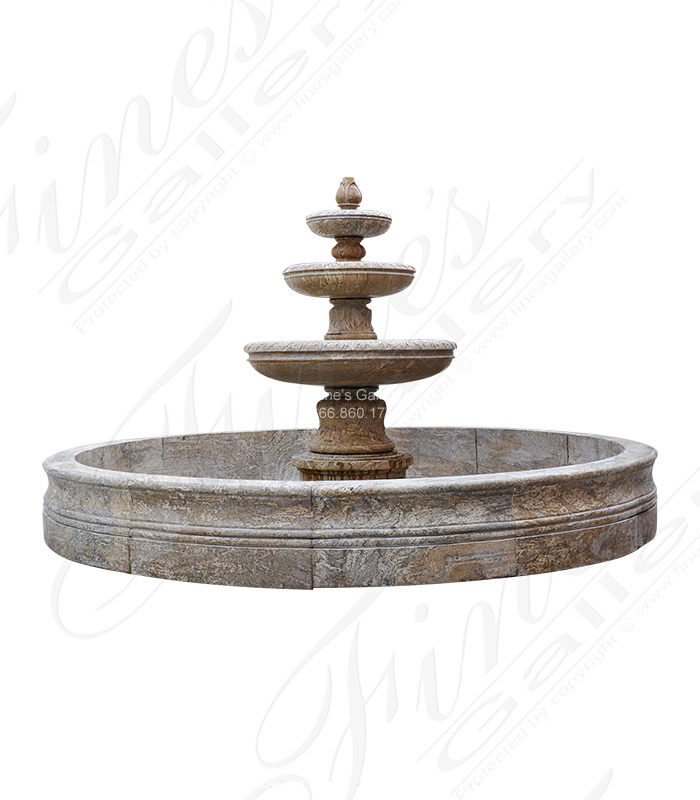 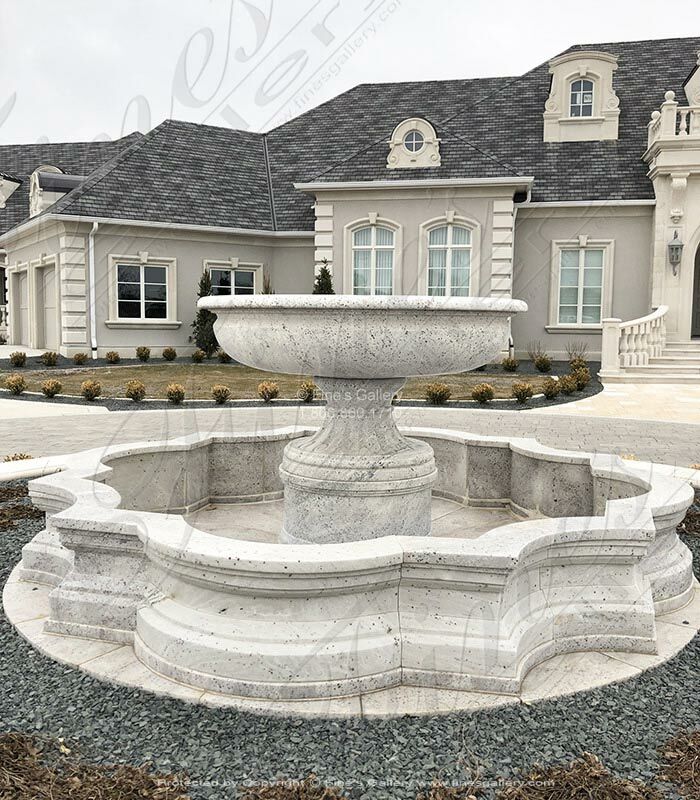 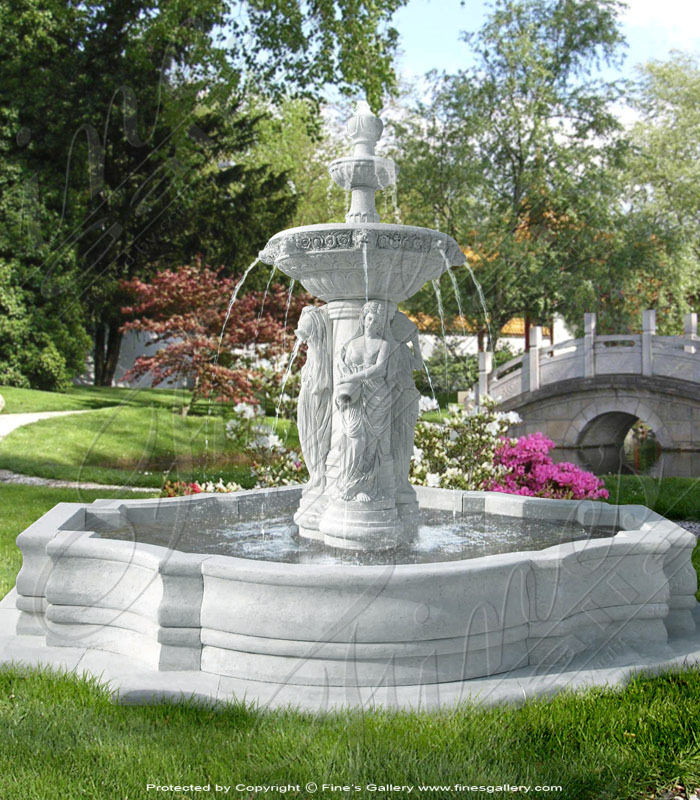 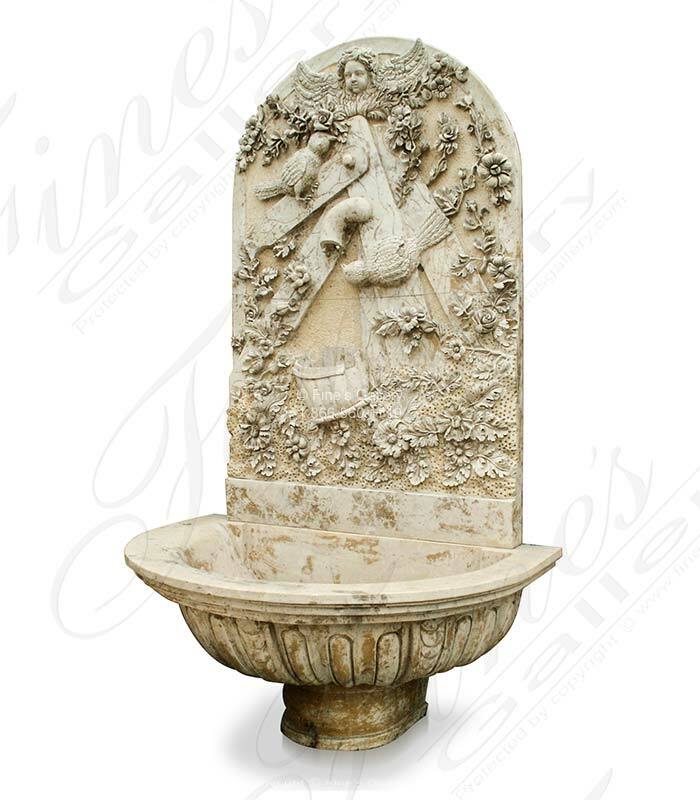 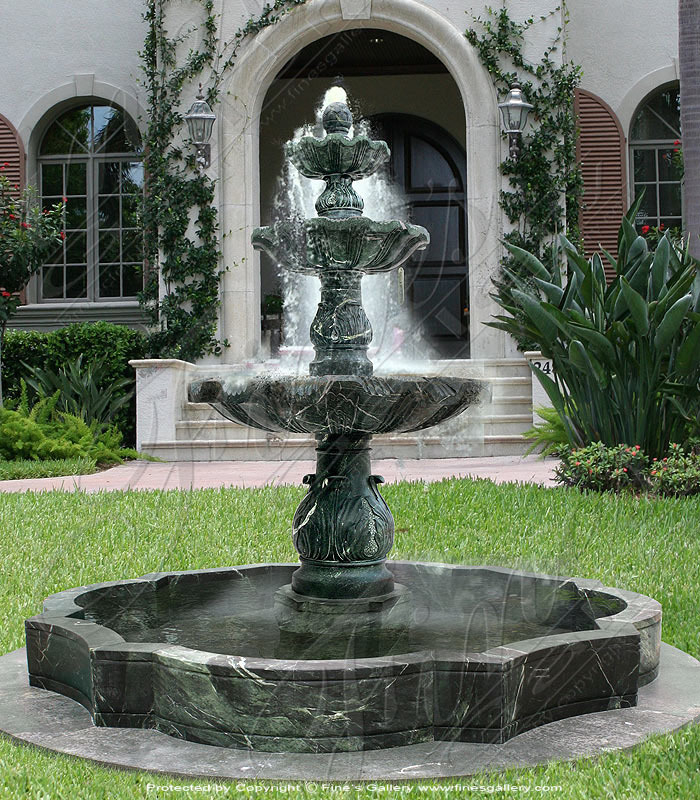 This beautiful fountain is carved from sophisticated light gray granite and is carefully accented with Acanthus leaf and elegant egg-and-dart molding. 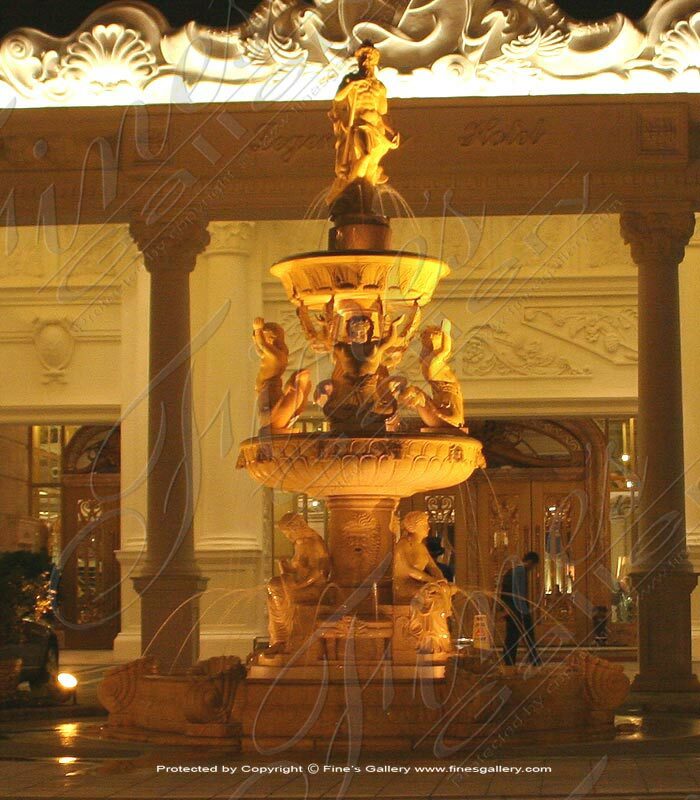 Dimensions: H: 104" W: 120" D: 120" View Colors Call Us!